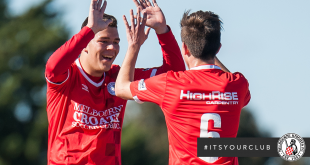 Melbourne Knights FC completed its first 2015 pre-season practice match on Friday afternoon, when the Club faced Green Gully SC with many formerly injured players featuring in the game. Ivan Grgic, James McGarry, and Anthony Colosimo all featured in the clash, with Colosimo completing the full 90 minutes at Green Gully Reserve. 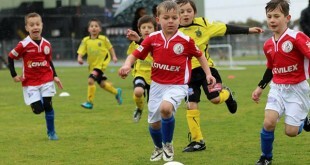 A single goal from Gully’s Nikola Markovski was all that separated the two sides, scored on the counter-attack when the pacy forward beat his defender and placed his effort underneath the onrushing Michael O’Farrell. Marth’s men played well throughout the tight encounter, and were unlucky not to equalise in the dying embers of the game when Gully’s Rodrigo Vargas cleared an effort off the line when the goalkeeper came out of the 6-yard-box to expose an empty goal. Speaking after the game, head coach Andrew Marth said he was satisfied with the Club’s first pre-season hit out. “I think we did quite well [despite] a lack of finishing,” Marth said. “I think we should have been up probably 3-0 during the first half, and I’m sure Stipo [Andrijasevic] puts his hand up for that. 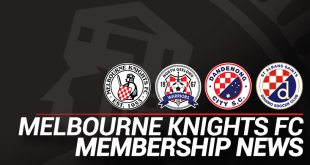 The Knights have a quick turnaround for their next pre-season game, with the annual Friendship Cup with Sydney United kicking off at 6PM this Sunday at Knights Stadium.